Downsizing apartments and "relaxing" particular planning policies would allow developers to build affordable flats, real estate lobbyists are insisting. 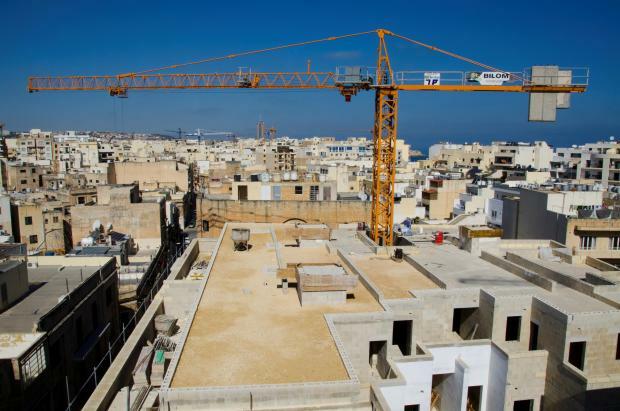 The Malta Developers Association presented a paper listing seven proposals for the provision of affordable housing within the current property market. Drawn up by a section within MDA that hosts "technical people" including architects and structural engineers, the paper suggests a downward revision of space standard requirements for one, two or three-bedroom units. This would allow the developer to increase the number of apartments on a site on the condition that a percentage of the units are sold within affordable price bracket. In May, the head of the Malta Developers’ Association real estate section Douglas Salt had said on Times Talk that policymakers should consider reducing the minimum size of apartments aimed at rental to foreign clients. According to MDA, an affordable housing unit is a property with a market value that is not more than four or five times the salaries of the buyer. This meant that currently, affordable housing properties have a maximum value of €120,000 for an 80 square metre unit. MDA suggested that purchasing price should be capped at €1,500 per square metre, and rent at €500 per month for the first 10 years, for the apartment to be affordable. However, the current lower price for a two or three-bedroom unit is typically around €160,000. MDA presented a number of suggestions to Infrastructure Minister Ian Borg and Parliamentary Secretary for Planning Chris Agius that would close this €40,000 affordability gap. These include addressing zoning anomalies in a bid to generate extra affordable units, ensuring that ecological and archaeological aspects are respected. MDA President Sandro Chetcuti explained that there were blocks within areas which were not Out of Development Zones, whose development was tied to certain commitments. In such instances, policies should be relaxed subject to the provision of affordable housing. "MDA is not proposing a situation that would see the profit pocketed by landowners or developers, but by the buyers themselves," Mr Chetcuti insisted. He told the media that despite the continued demand by buyers, developers cared for the strand of people who did not afford to own their own house. The association is meanwhile calling on authorities to re-examine the introduction of sensitive internal development with the scope of providing a percentage of affordable units. MDA is also urging authorities to waive the condition stipulating 75% ownership of the land, and also to do away with development planning fees and planning gain fees for projects that include a minimum of 20% affordable housing units. Presenting the proposals, architect Stephen Farrugia said MDA was also suggesting the setting up of an Affordable Housing Board. Reacting, Minister Borg welcomed MDA’s paper but said it would be too presumptuous of him to say whether he agreed or not, considering that this was the first time he was seeing the suggestions.